Famed instructor talks with The Post Editor-In-Chief Brian Hewitt in March 12 issue interview. In a wide-ranging interview with Editor-In-Chief Brian Hewitt, Butch Harmon observed that Tiger Woods is unlikely to return to the form he displayed in 2000-2001, when Harmon was his swing coach. Harmon also observed that Bubba Watson has the best hands of any modern-day player he has seen. Harmon, currently Phil Mickelson’s swing coach, also pointed out that Phil plays his best when he dials it back a little bit. Finally, Harmon divulged what Ben Hogan’s “secret” was. Harmon says his father, the legendary teacher and Masters champion Claude Harmon who was Hogan’s close friend, told Butch that the secret involved the “cupping” of his left wrist. The complete interview can be found in the March 12 issue of Global Golf Post. Global Golf Post is the first digital weekly golf news publication in the world that offers the passionate golf enthusiast an extraordinary online experience that can be accessed across all major devices. Founded in 2010 and headquartered in Winter Park, Fla., The Post is delivered Monday morning 50 weeks a year to the email boxes of its global golf audience. 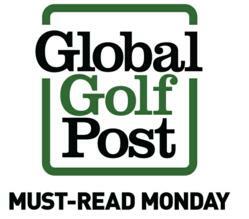 For more information, please contact Heather Osborne at heather@globalgolfpost.com or click here to subscribe to Global Golf Post.